Growing on trees that reach up to 160 feet tall, these delicious and highly nutritious nuts are high in mono- and polyunsaturated fats, magnesium, phosphorous, potassium, and selenium. In fact, Brazil nuts are the highest natural source of selenium (543 mcg in 1 oz.). A potent micronutrient, scientific evidence to date suggests that selenium might play a role in the prevention or treatment of heart disease, cognitive decline, liver disease, some types of cancer, and thyroid disease. Selenium concentrations are highest in the thyroid gland, and it has a vital role in the functioning of the gland. Just two Brazil nuts a day make it easy for most people to meet their daily selenium requirement. Don’t go overboard on Brazil nuts—too much selenium in the diet can cause brittle nails, alopecia, rash, upset stomach, and fatigue. The Institute of Medicine of the National Academy of Sciences advises a maximum limit of 45 mcg of selenium for kids and 400 mcg for adults daily. The best way to enjoy Brazil nuts is to combine a few with other types of nuts, seeds, and raisins. Sprinkle on salad, yogurt, or blend into a smoothie. Making freshly ground nut butters at home gives you the opportunity to enjoy these nutritious spreads without the added sugar or preservatives often found in store-bought varieties. Note: There is a 2 to 1 ratio of nuts to nut butter. To make 1 cup of nut butter, start with 2 cups of shelled nuts. (a) To make the nuts more digestible, soak and dehydrate the nuts to extract phytic acids (compounds that bind minerals). Before grinding, soak nuts in water and cover for 8-12 hours. Dehydrate about 10 hours. (b) To add a distinctive, warm flavor, toast the nuts before grinding. Toast nuts on a dry baking sheet at 400°F until nuts are fragrant and lightly browned, 5 to 10 minutes. Watch closely; nuts burn easily. Make sure the nuts are cool to the touch before grinding. Place nuts into a food processor and start blending, leaving out the optional flavor add-ins. Blend for 11-12 minutes. You may need to grind at various speeds or intervals until you reach the consistency that meets your taste preferences. The nuts will go through several stages and you’ll need to keep pressing the contents into the center of the blender as you go through the process. The nuts will crumble, clump, ball, redistribute, and then finally … the oils will release, and you’ll have a nice spread. Mix in your choice of flavor add-ins by hand. Nut butter keeps in the refrigerator for about a month. National Institutes of Health. “Selenium: Dietary Supplement Fact Sheet.” Accessed May 2015. National Institutes of Health. “Selenium: Fact Sheet for Consumers.” Accessed May 2015. Nutrition and You. 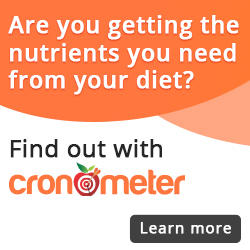 “Brazil Nuts Nutrition Facts.” Accessed May 2015.